"The fundamental character or spirit of a culture; the underlying sentiment that informs the beliefs or practices of a group: In the Greek ethos, the individual was highly valued." Our Ethos, or culture, also places a high value on individuals. Our goal is to develop highly value-added relationships based on mutual trust & benefit, a clear understanding of your needs, wants & goals, complete transparency and the highest level of ethics. Our comprehensive and independent financial planning is focused on one word. Purpose. There is specific purpose to the approach we take to all aspects of what we refer to as “360 degree wealth management”, and that purpose is you. Your needs, your wants and your wishes. Again, our job is to protect your lifestyle after you stop working and help ensure you have the life and legacy you deserve. To download our proprietary "Need. Wants. Wishes." click here. Go ahead. 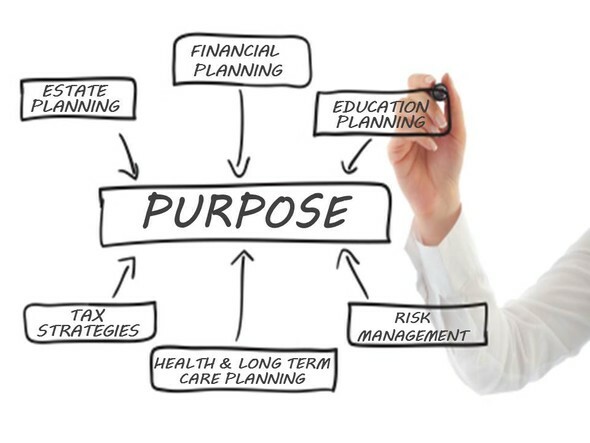 Ask yourself the question, “Why would I develop a relationship with Trovato Wealth Management over any other financial planning or wealth management firm?” The answer is purpose. Think of our 360 degree wealth management approach as a scale… a very complex scale that instead of giving you a weight it gives you a reason, or purpose. A purpose to never lose sight of why we are doing what we are doing, and when we do it. Of course different situations require different strategies, so our proprietary approach puts all of the planning elements to be evaluated on various weighing platforms to ensure we are analyzing the full spectrum of your challenges & desires, and the full spectrum of our solution options to develop the right outcome for you.